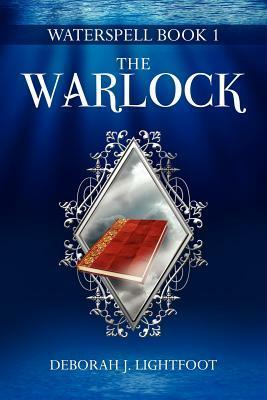 Drawn into the schemes of an angry wizard, Carin glimpses the place she once called home. It lies upon a shore that seems unreachable. To learn where she belongs and how to get there, the teenage traveler must decipher the words of an alien book, follow the clues in a bewitched poem, conjure a dragon from a pool of magic -- and tread carefully around a seductive but volatile, emotionally scarred sorcerer who can't seem to decide whether to love her or kill her. 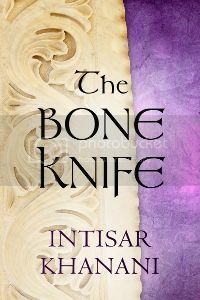 This is the first book in what promises to be a fascinating fantasy trilogy. Carin is a foundling with a secret or two even she isn't aware of yet. Sent north by the wisewoman of her village, she stumbles into Lord Verek's domain--and into some serious trouble. Verek if is a warlock with a tragic past, and while he does do occasional nice things, the man has some serious emotional baggage resulting in verbal, emotional and borderline physical abuse. I was right there with Carin, ready to escape him whenever possible, and not trusting him farther than ... well, not trusting him, period. I kept waiting for him to come to his senses and redeem himself (he had to be the most frustratingly mean character I've ever met) but he hasn't yet. I'm hoping for a major epiphany to hit him in Book 2! I did find the dialogue a little too formal for me. By this I mean that a character might state two or three thoughts, and then leave it open for another character to respond. So we end up with a series of mini-monologues rather than punchy or back-and-forth dialogue. This can work in some situations, but when people are angry (specifically, both people involved are angry), no one's going to wait for someone to wind through three different points before jumping in to address the first point. In this way, the dialogue often lost its force for me. The only other aspect of this book that frustrated me was Carin's tendency to pick fights / say the wrong thing. Now, in general I wouldn't have a thing to say about this: it's a personality trait, and it's hers, and look what she gets for it! But ... but we're given to understand that Carin hasn't talked for most of her life--she started out completely silent after she was found as a child, not speaking a word for over a year. From that time till she left her town to head north, she stuck to silence as her best defense. So ... I was expecting silence to be her strength. I wanted her to know when to keep silent; and how to use silence as a weapon. But she didn't have that, and it puzzled me because it seemed inconsistent with her history. 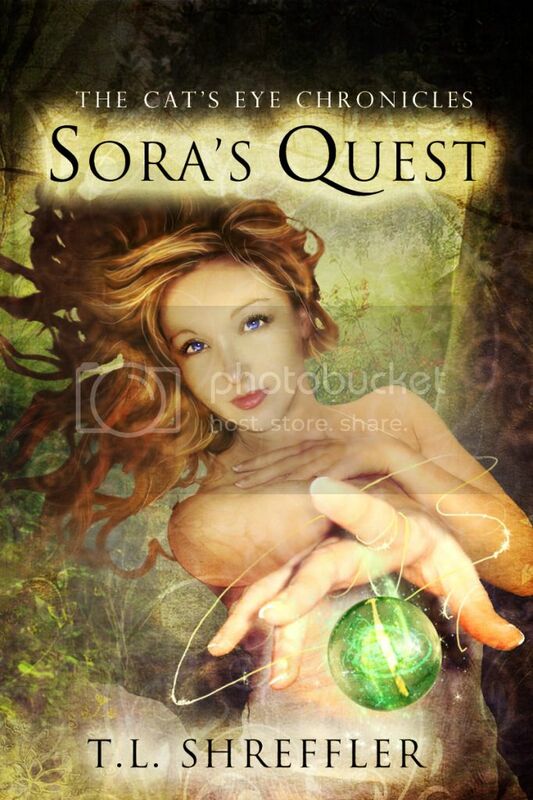 Overall, a fun and engaging read, with an intriguing premise and plenty of mystery. Castles in the cornfield provided the setting for Deborah J. Lightfoot’s earliest flights of fancy. On her father’s farm in Texas, she grew up reading tales of adventure and reenacting them behind ramparts of sun-drenched grain. She left the farm to earn a degree in journalism and write award-winning books of history and biography. High on her Bucket List was the desire to try her hand at the genre she most admired. The result is WATERSPELL, a multi-layered fantasy about a girl and the wizard who suspects her of being so dangerous to his world, he believes he'll have to kill her ... which troubles him, since he's fallen in love with her. 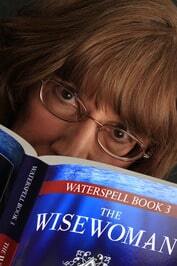 Waterspell Book 1: The Warlock; Waterspell Book 2: The Wysard; and Waterspell Book 3: The Wisewoman.